I tend to cringe when I hear the term “racer-cruiser.” But I’ve had to eat my words when it comes to the Croatian builder Salona, which now has six models in its line. 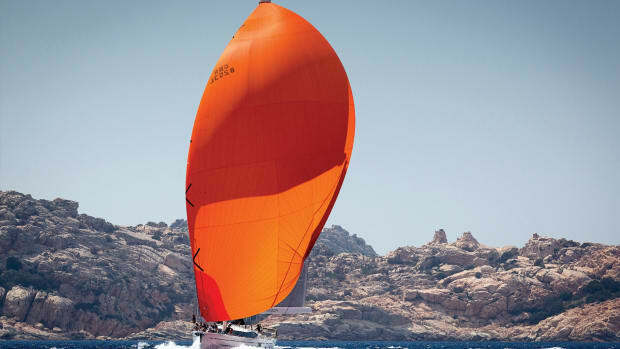 Salona hulls are light, sleek and slippery, whether in lots of wind or just a hint of a breeze.  Even as the boats continue to haul in line honors around the world, they remain comfortable and well outfitted for extended coastal cruising—and the Salona 41 is no exception, as she offers a good turn of speed and a nice finish to boot. I’ve tested a few of the Salona models, and I like them all. However, for whatever reason I found the 41 to be exceptionally attractive. Her low profile shows a plumb bow, no hard chines and a beam that comes in a little at the transom, unlike so many of today’s designs which strive to maximize the volume aft. Our test boat’s striking blue hull added to her sleek overall look so that she looked raring to go even at the dock. A Salona hallmark is the integral stainless-steel grid below the cabin sole and just above the keel. 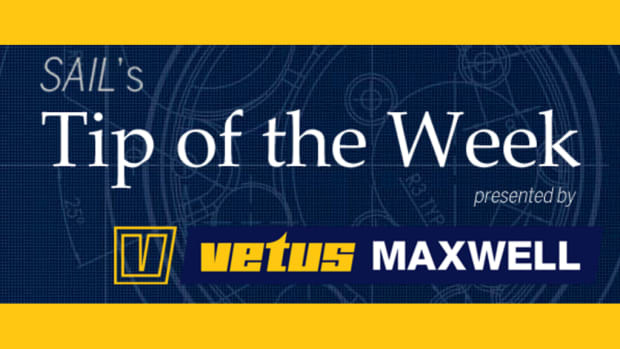 It ties together and spreads the keel and rig loads across the hull, at the same time adding a rigidity that keeps the boat strong and stiff despite a displacement of just over 16,000lb. The hull is a vacuum-infused polyester laminate with PVC foam core above the waterline. 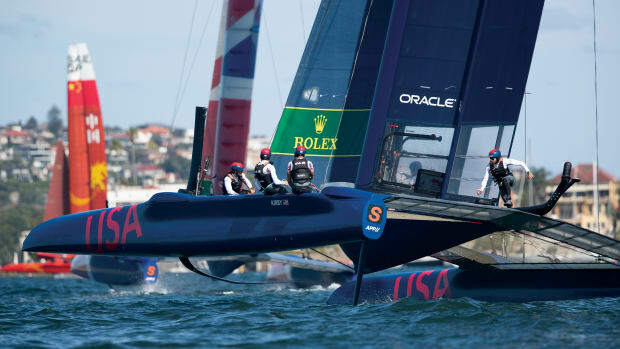 The hull liner is reinforced with carbon fiber in high-stress areas, and there are watertight bulkheads fore and aft. 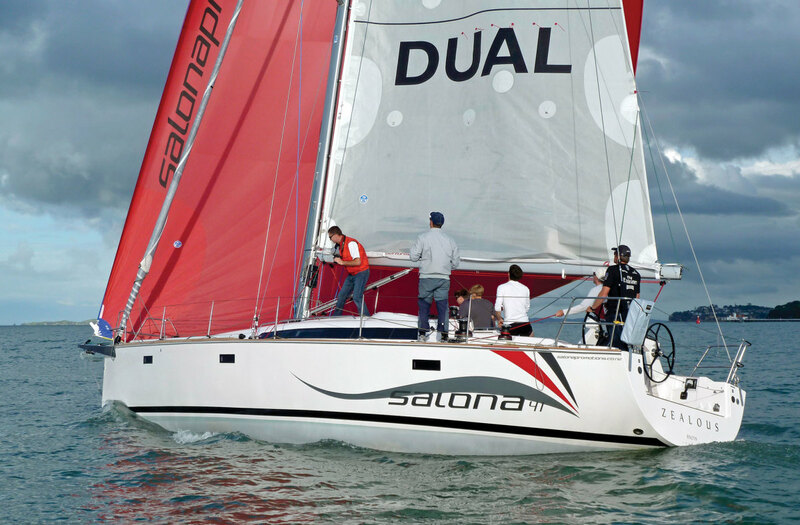 Below the waterline, the Salona 41 offers two keel configurations—a standard extended L-shaped iron keel with a bulb that has a draft of 6ft 6in, or an optional L-shaped performance lead keel that draws 7ft 6in and would be ideal for racing. The 9/10ths fractional rig supports double sweptback spreaders and carries 1,130ft² of working sail. The exact headsail choice is up to the customer—either a 105 percent jib, which pairs nicely with a reacher attached to the optional retractable sprit, or a huge 140 percent genoa on a Harken belowdeck furler. 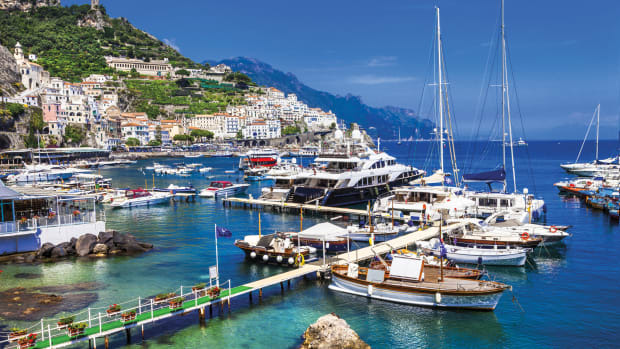 Dacron cruising sails come standard, but our test boat was equipped with the upgraded laminated Italian One Sails, which could be drawn in drum-tight, as well as rod rigging. 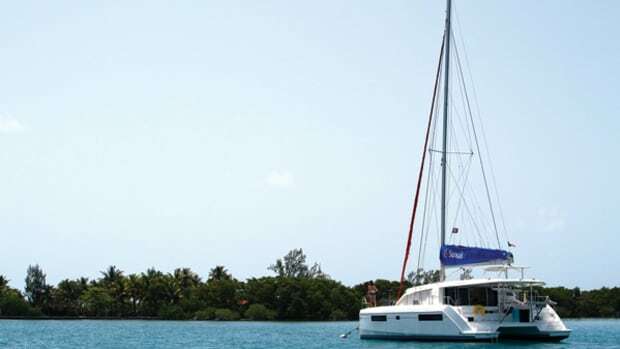 The Seldén mast is keel-stepped, and the rig is available in either aluminum or carbon. The transom is open with a split backstay and either an optional full-beam athwartship seat or just two lifelines between you and the drink. The seat can come out for racing, but for cruising, especially with kids, it may be safer to leave it in. A recessed traveler bisects the cockpit sole and provides end-boom sheeting. Racers will love it. Twin carbon fiber wheels from Jefa look good and feel great in the hand. With the optional table removed, the cockpit is wide-open for club racing. With it in place, sundowners can be served in comfort. Teak slats on the seats are standard, but a teak-covered cockpit sole and decks are optional. One odd detail is the waste tank deck access on the starboard coaming that is within inches of a winch. I’d like to see that placed elsewhere. Six Harken winches and numerous Spinlock clutches control everything from the single-line reefing system to the German-style mainsheet. B&G chartplotters and instruments, as well as compasses, sit at the wheels on both sides, and engine controls are to starboard. There is also a remote control for the Quick electric windlass to starboard, so singlehanded anchoring should be a snap. A fixed bowsprit gets anchors well ahead of the bow, and for the racing crowd, a 6ft retractable sprit extends out the port side bow for flying A-sails. Bear in mind that a sprit this long can affect your racing rating. The Lewmar hatches are nice and flush to avoid stubbing toes, but the synthetic lifelines I saw were already showing some chafe. I’d opt for stainless steel, which will add weight but stand up to UV degradation and stanchion rub points. 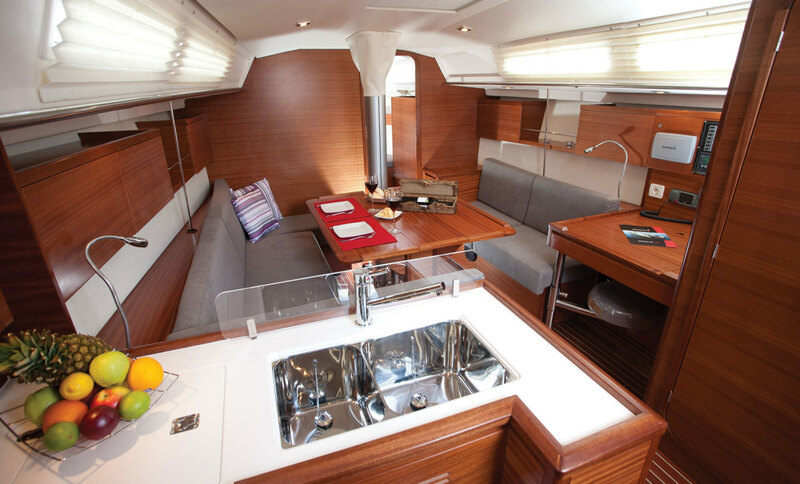 The Salona 41 can be ordered with two or three cabins and one or two heads, and I suspect American couples will mostly opt for one head and two staterooms, due to the roominess and the huge starboard lazarette this layout allows. The master is forward with a large V-berth. There is a tunnel on the port side for the retractable sprit that is wrapped in foam and white vinyl, so it doesn’t create a head-banging hazard when you get up at night. When opened up, the large saloon table, with built-in bottle storage, is within reach of both the U-shaped settee to port and the straight settee to starboard so you can seat a crowd for dinner. The galley to port is L-shaped and generously proportioned. I especially liked the front- and top-loading Waeco fridge/freezer, the Eno three-burner stove where multiple pots can coexist and the fiddles designed into the solid-surface countertops all around. The forward-facing nav desk is almost old school, given today’s dependence on multifunction displays, but I like having a large space dedicated to ship’s business. The sheer number of drawers at both the galley and the nav station is a delight, as I find there’s never enough room on a boat for small odds and ends. With only one aft cabin, the head, with an electric Jabsco toilet, is tucked in aft to starboard. (It moves up and shrinks a bit in the three-cabin layout.) Unfortunately, neither option provides a dedicated shower stall. The finish on our boat was teak, which contrasted nicely with the white headliner and trim. I’d like to see twin overhead hatches in the saloon to increase both light and ventilation as there are only two other opening portlights in the saloon. The flat waters of the Chesapeake are great for fast sailing, but there has to be some wind, and our test day was a bit fluky. In 5.6 knots of true wind at a 45-degree apparent wind angle, the Salona delivered 4.6 knots of boatspeed, which went to 6 knots when we sailed through an 8-knot gust. The boat then showed off her impressive pointing ability as we tacked up through 60 degrees, one finger on the wheel. The bow sliced through the waves and the boat was perfectly balanced with no discernable weather helm. With the retractable sprit, it’s easy to quickly pop an asymmetrical, so we had a bit of fun and got the boat to do 4 knots with the chute up in all of 5 knots of wind at a 90-degree angle—not bad. Well behaved on every point of sail, you could see that whether the wind was 5 or 25 knots, the Salona 41 is going to be a lot of fun. Auxiliary power is provided by a 40hp Yanmar diesel and a saildrive transmission. A two-blade Gori folding propeller comes standard. 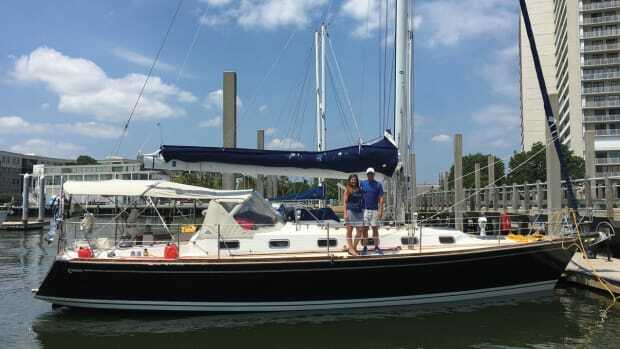 On flat water with little breeze, we motored back to the slip at 8.2 knots with the throttle wide open at 3,200 rpm. A more economical cruise speed would be around 7 knots. Tankage is sufficient for racing with 58 gallons of freshwater and fuel, although for cruising a little more of both would be desirable. I could have wished for a bit more breeze to really put the Salona 41 through her paces, but the true test of a boat is in light airs, and as we glided along in our 8-knot gusts, I saw we were one of the few boats really moving that day. 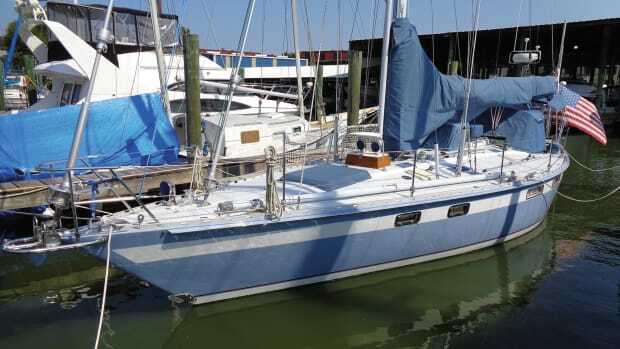 In fact, when many others will turn on the engine and head for the barn, the Salona 41 will sail on, and that’s good whether you’re rounding buoys or looking for the next weekend anchorage—which is ultimately what a good racer-cruiser is all about.